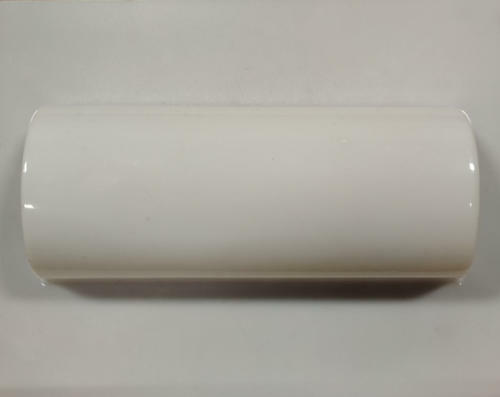 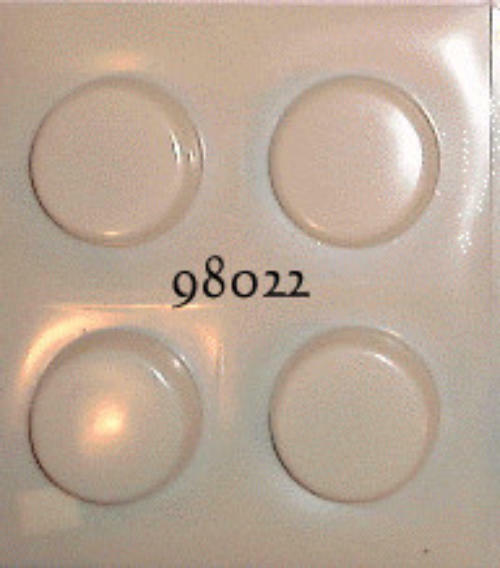 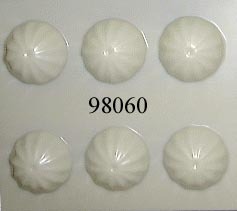 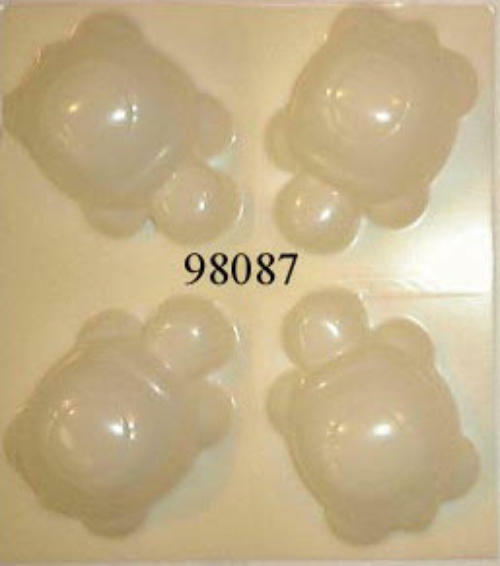 These plastic molds have 2 aligning halves. 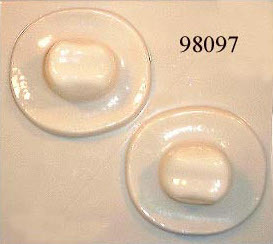 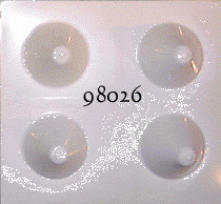 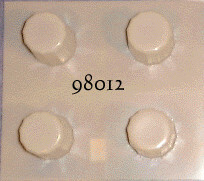 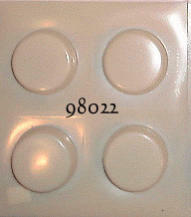 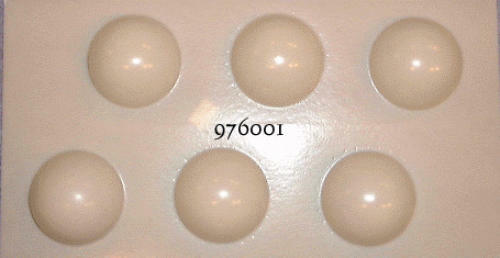 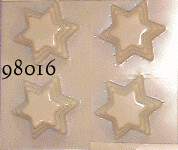 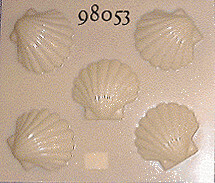 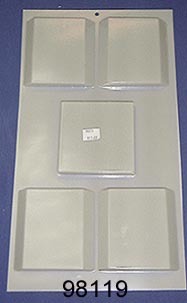 The sides are held together by Mold Stands & Clips (sold seperately). 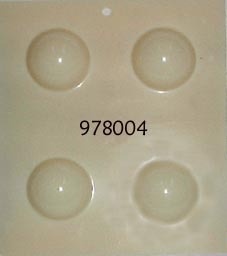 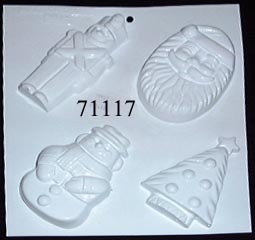 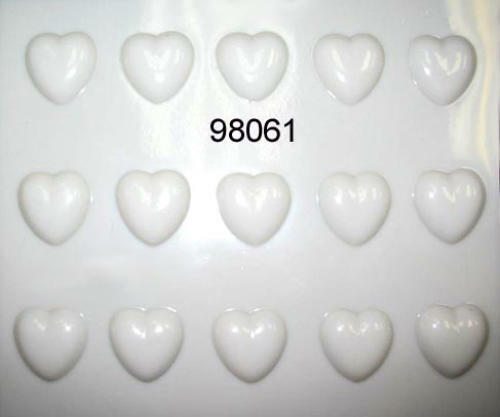 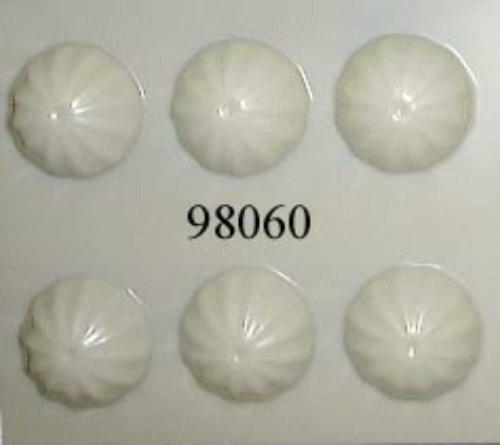 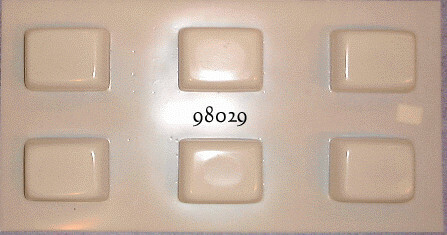 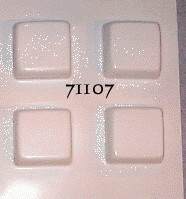 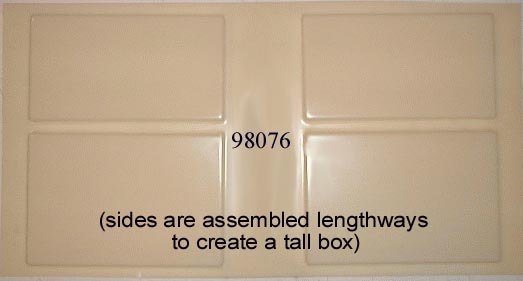 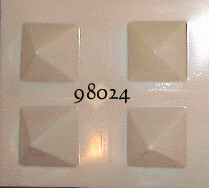 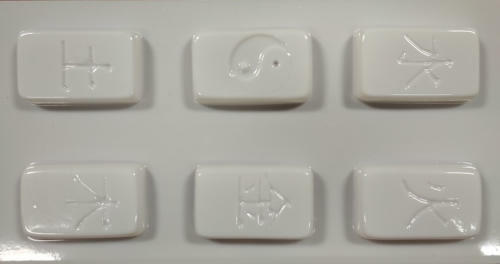 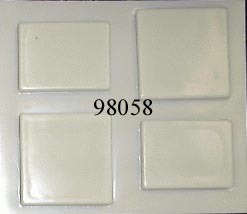 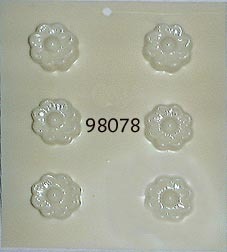 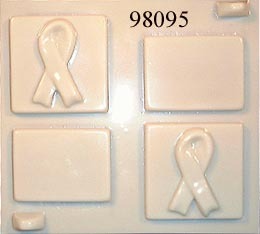 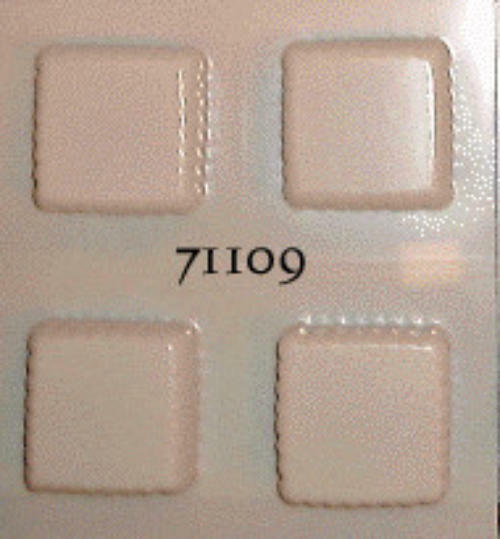 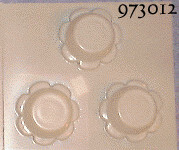 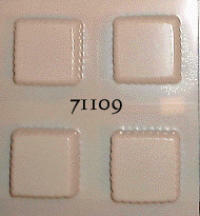 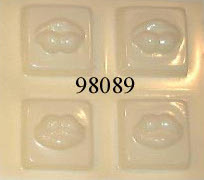 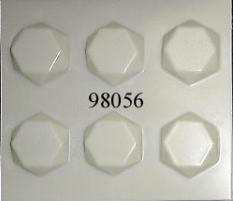 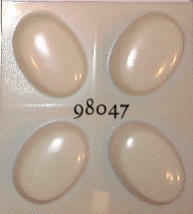 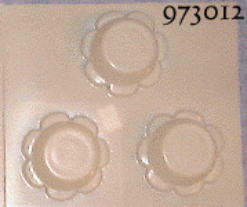 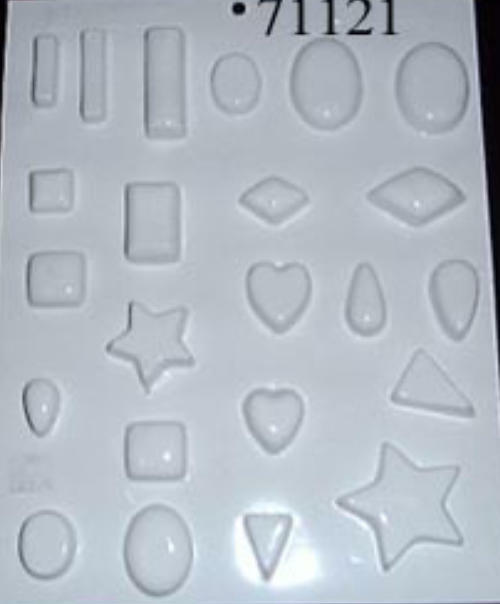 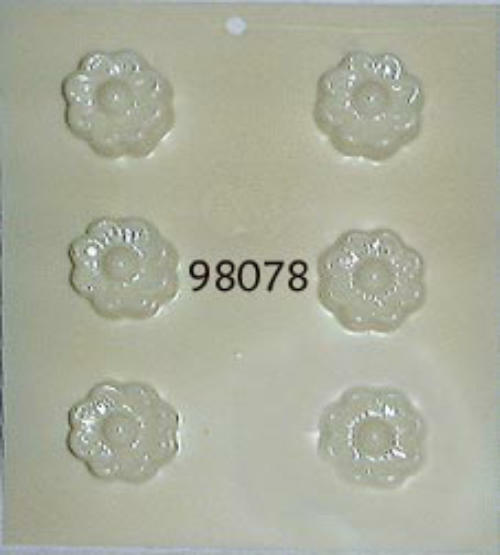 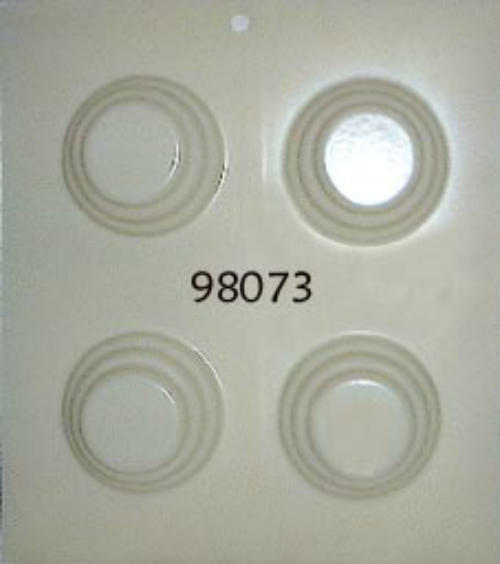 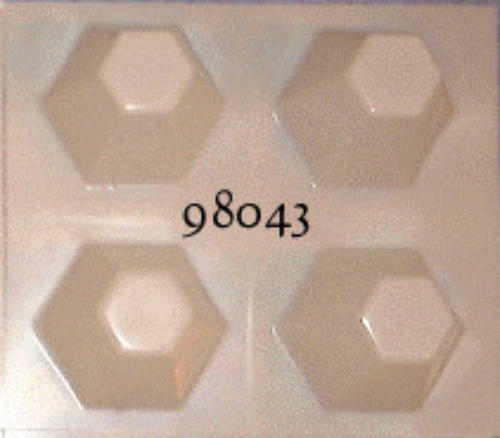 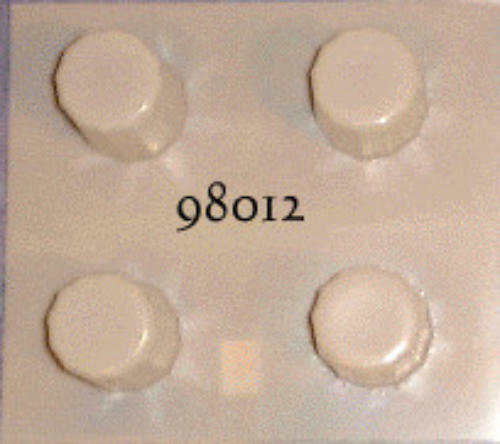 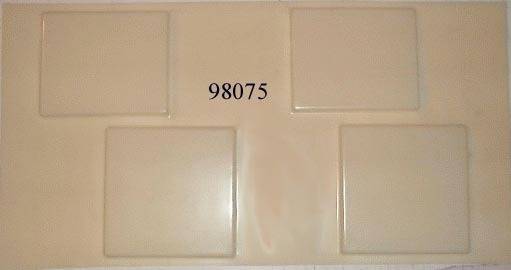 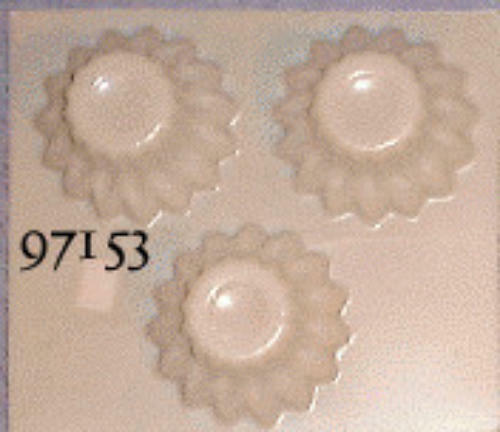 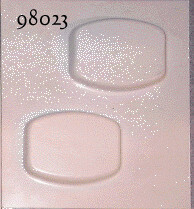 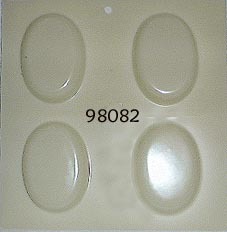 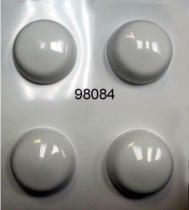 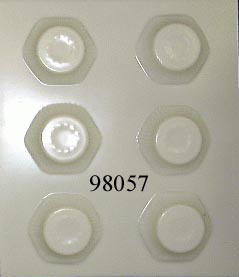 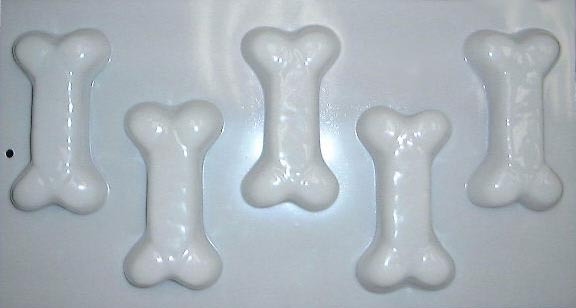 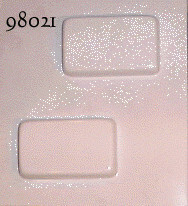 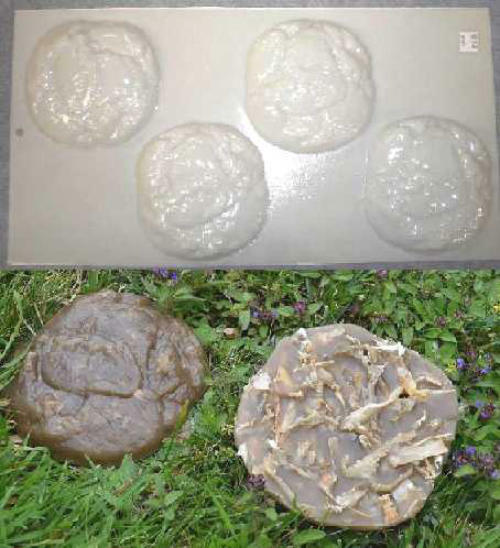 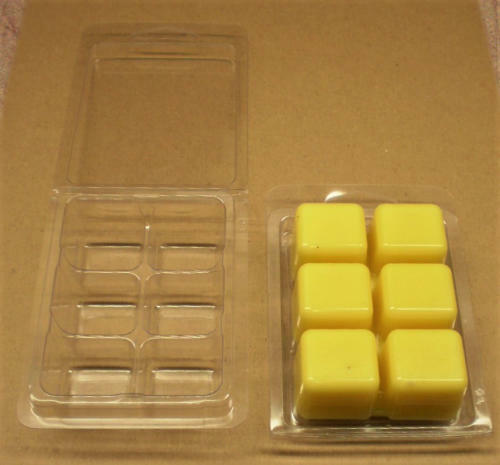 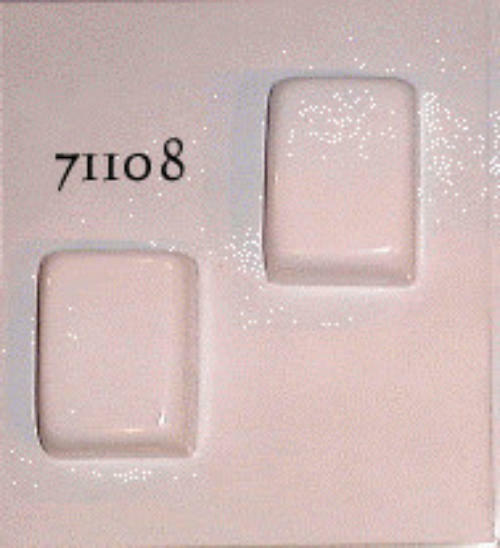 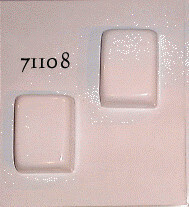 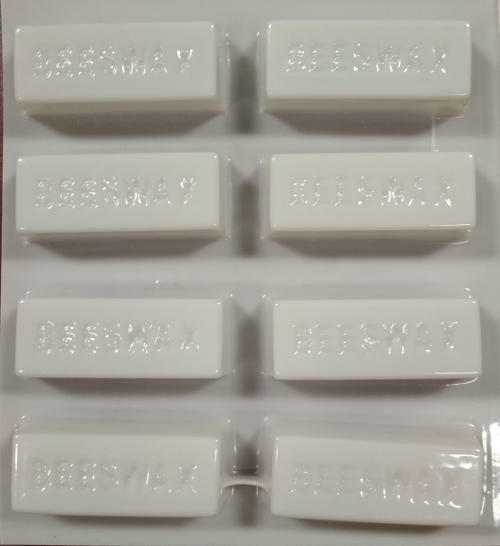 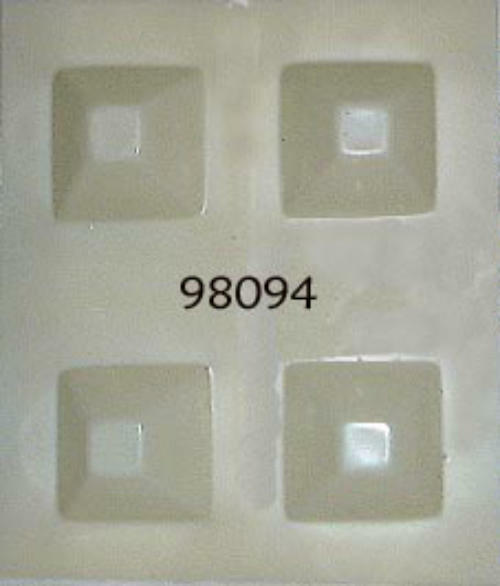 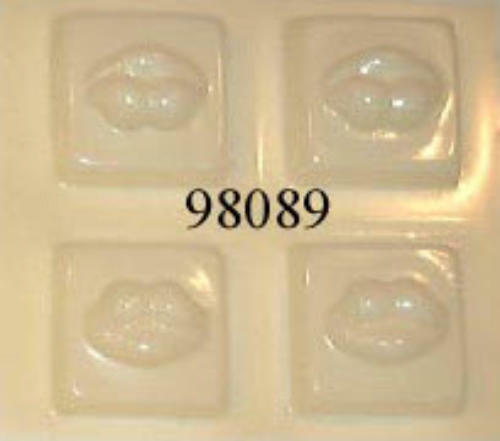 There are usually 4 molds on a sheet unless otherwise shown. 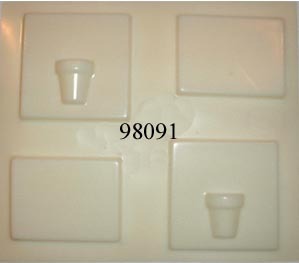 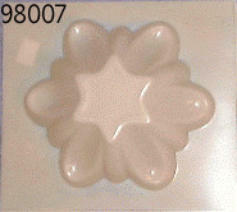 Please note that the pictues of the floater molds show the bottom of the candle. The top will be flat. 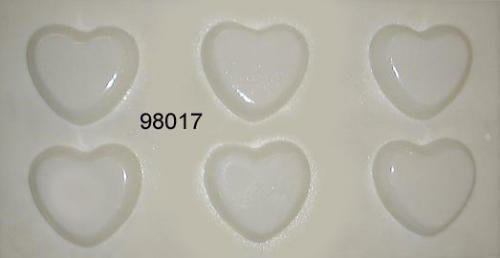 Can also be used for soap & bath bombs. 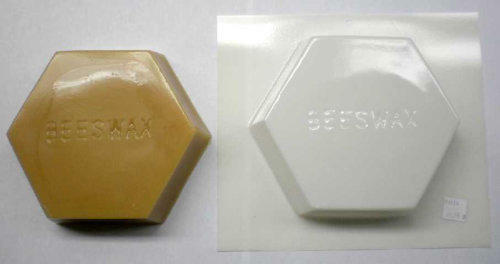 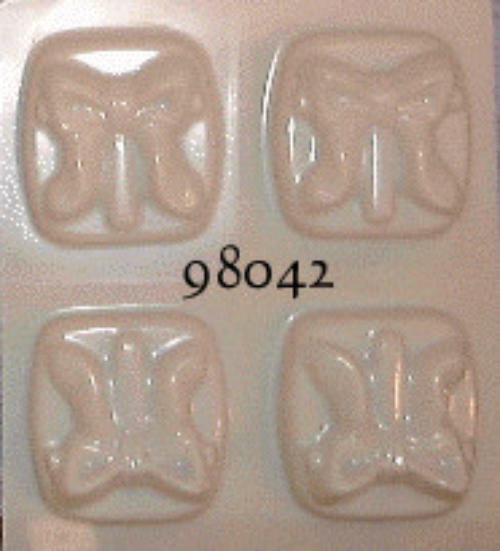 Max pouring temperature 180 F.
These plastic molds have two aligning halves. 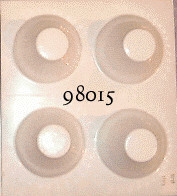 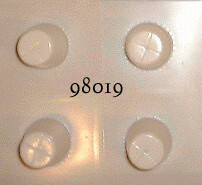 The two sides are held together by Mold Stands & Clips (sold seperately). 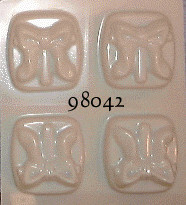 There are usually 4 molds on a sheet unless otherwise shown. 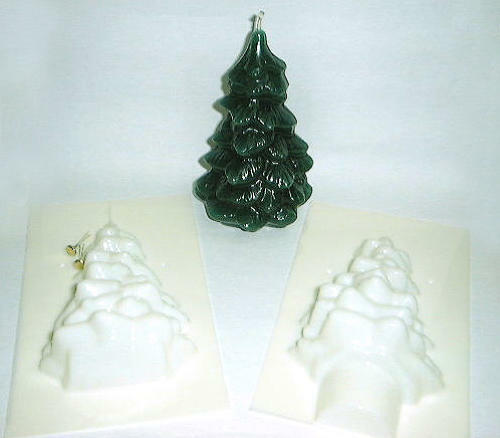 Please note that the pictues of the floater molds show the bottom of the candle. 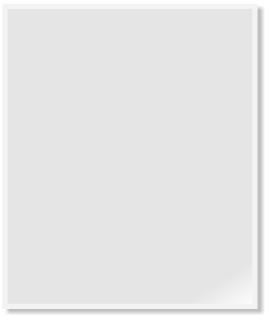 The top will be flat. 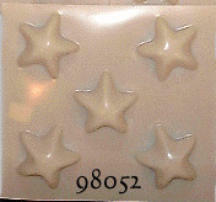 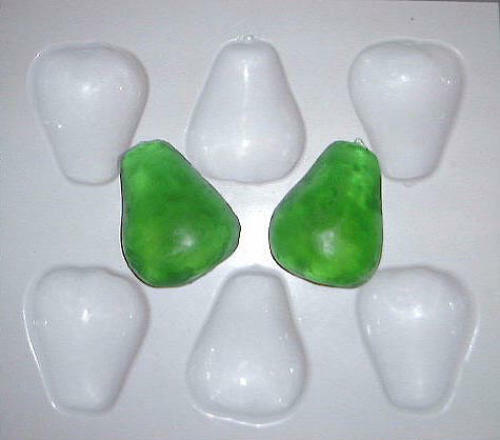 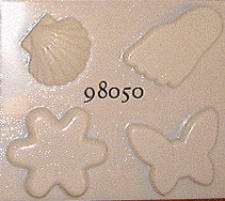 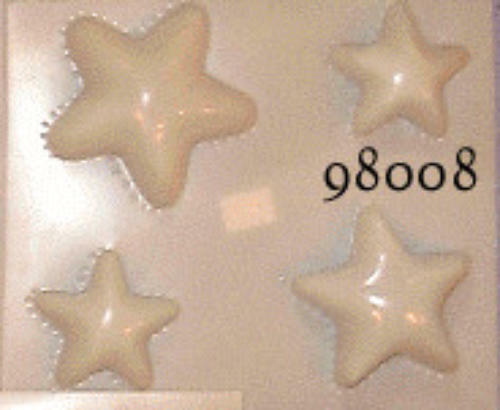 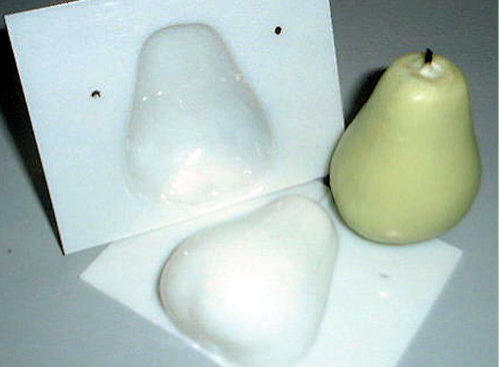 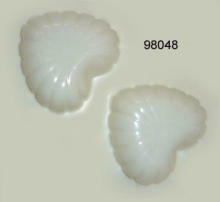 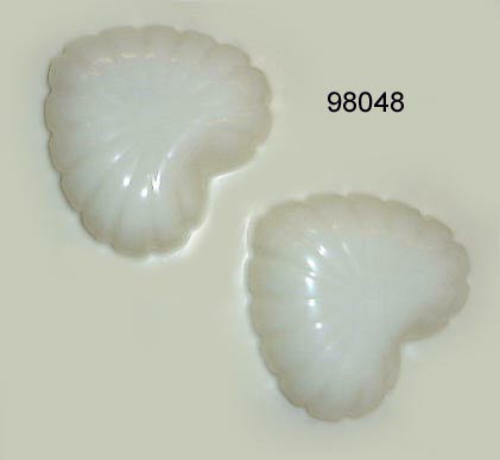 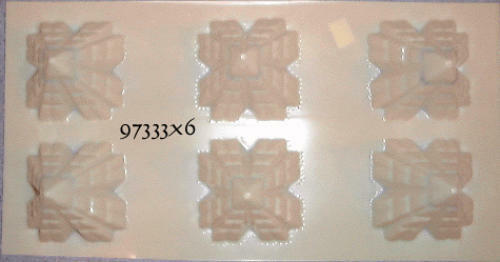 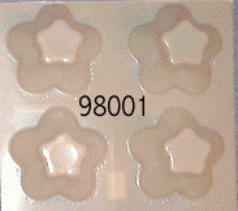 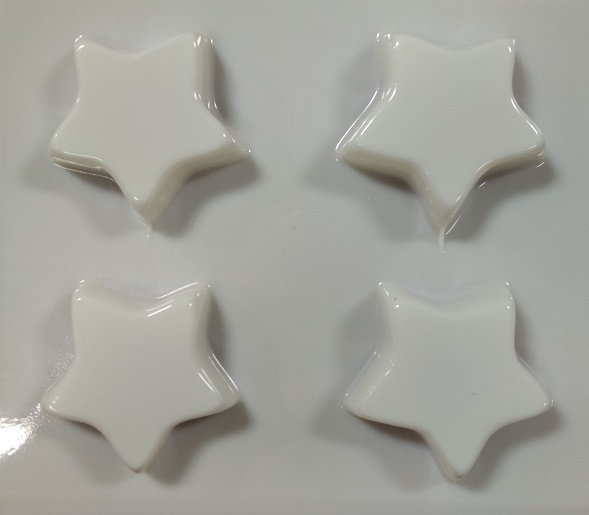 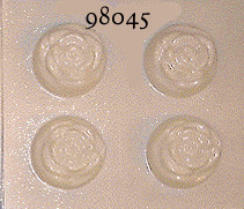 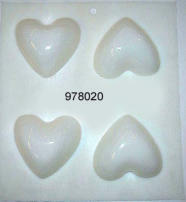 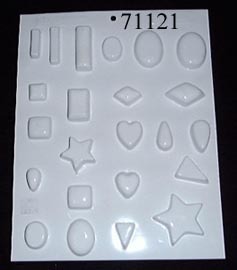 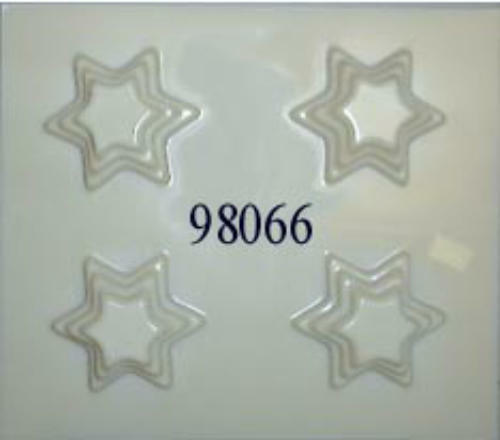 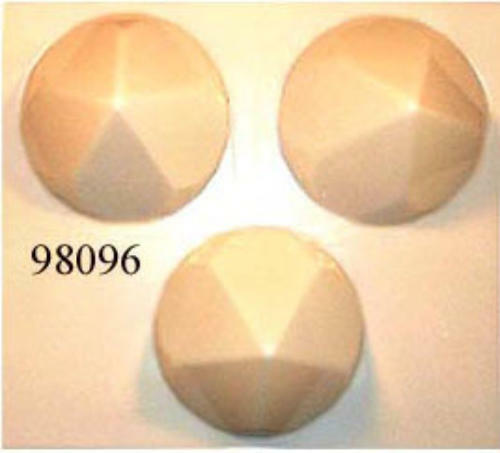 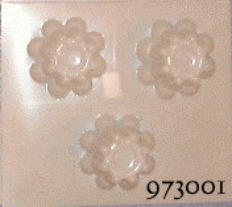 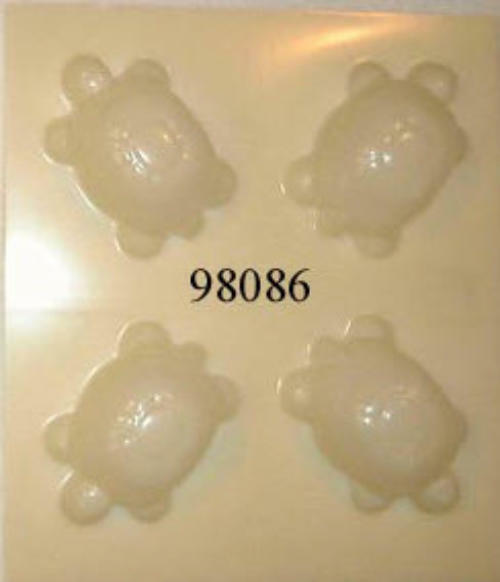 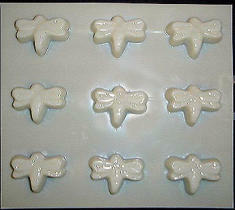 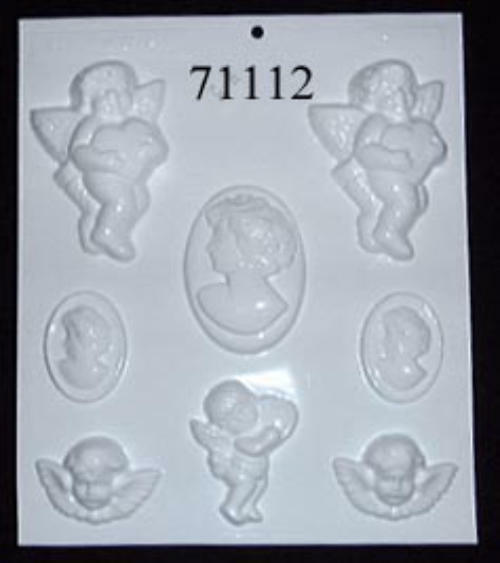 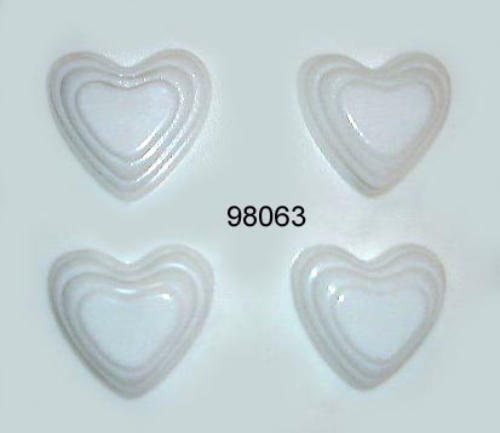 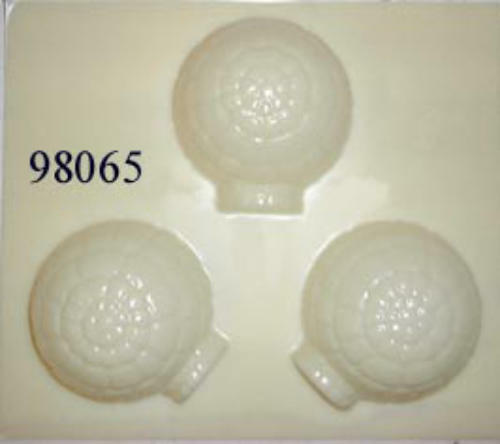 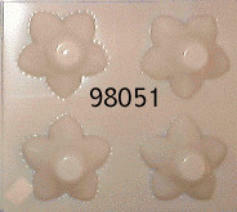 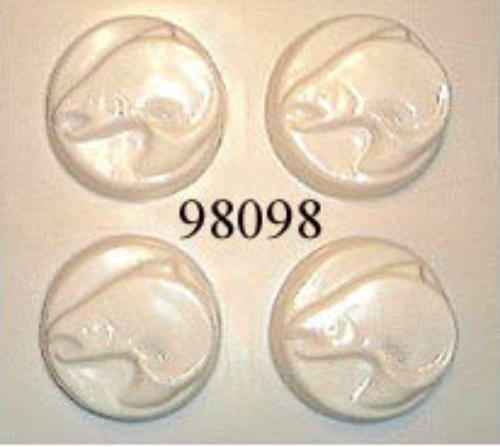 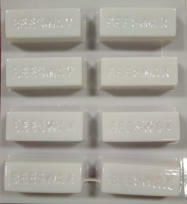 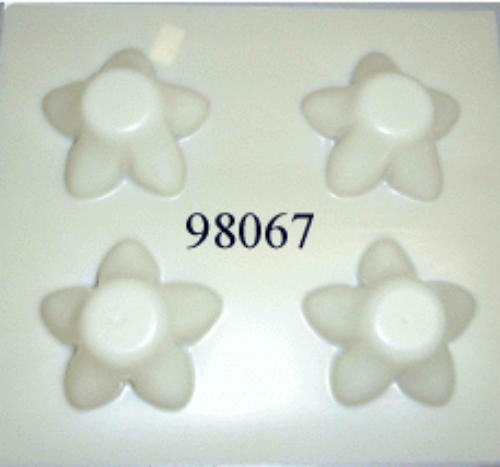 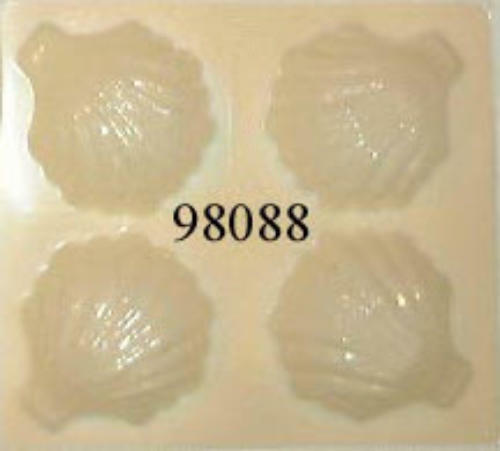 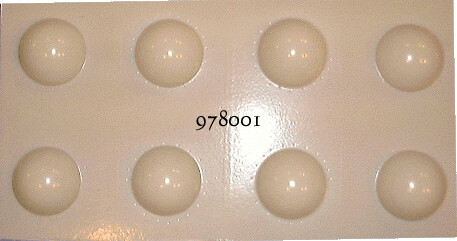 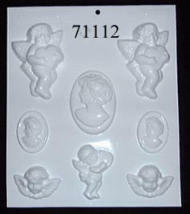 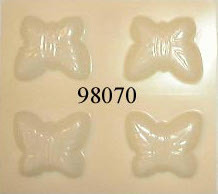 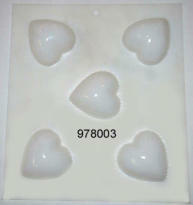 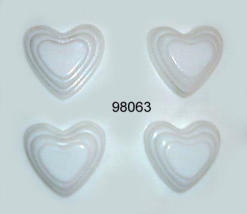 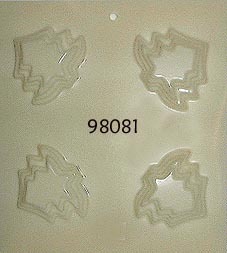 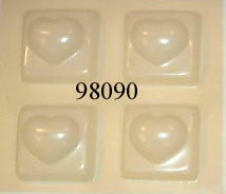 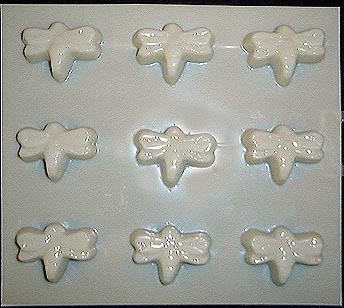 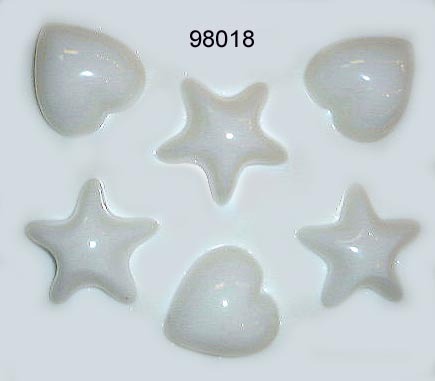 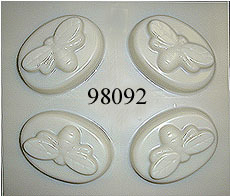 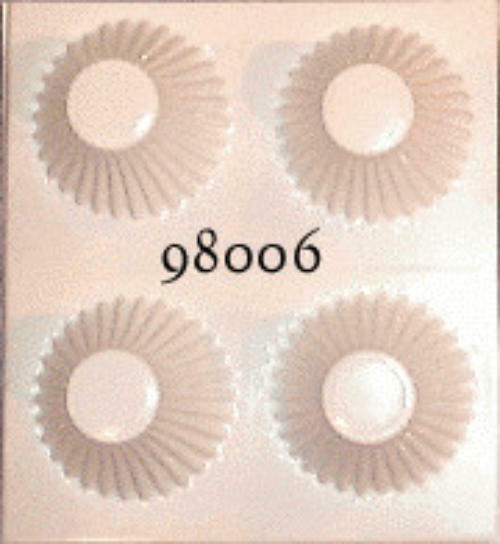 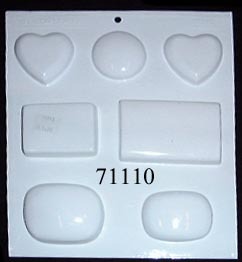 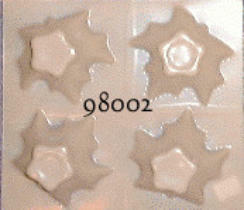 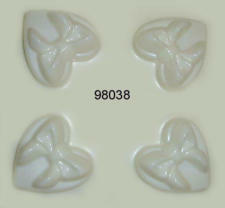 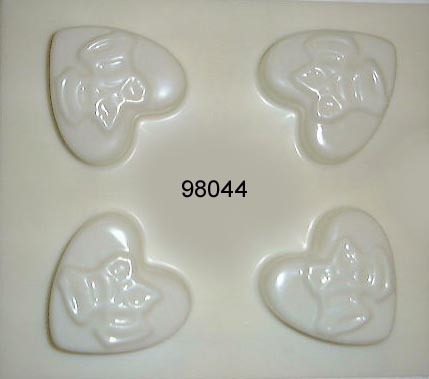 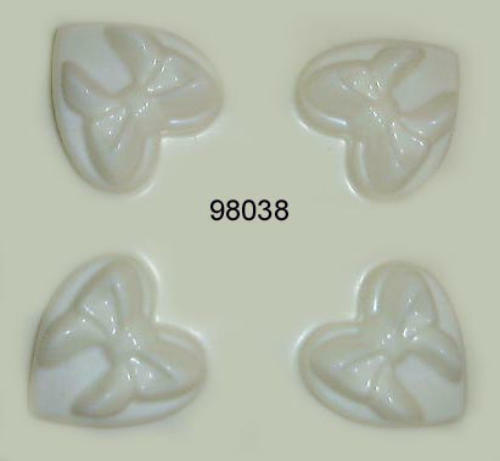 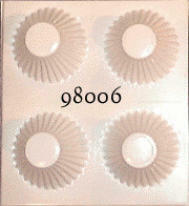 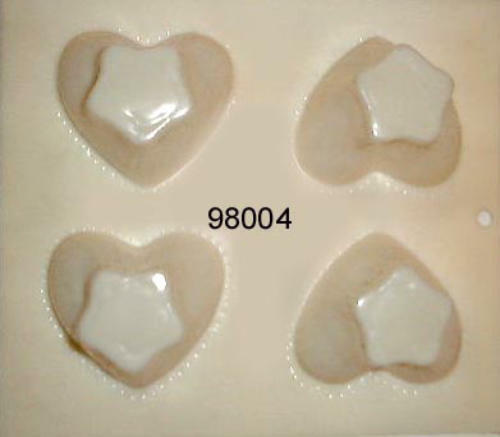 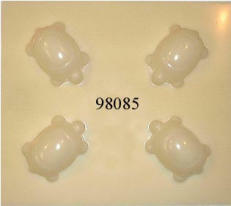 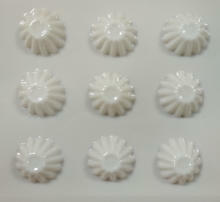 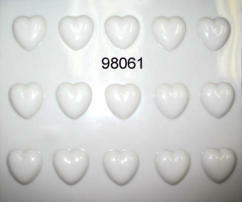 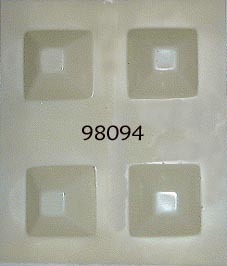 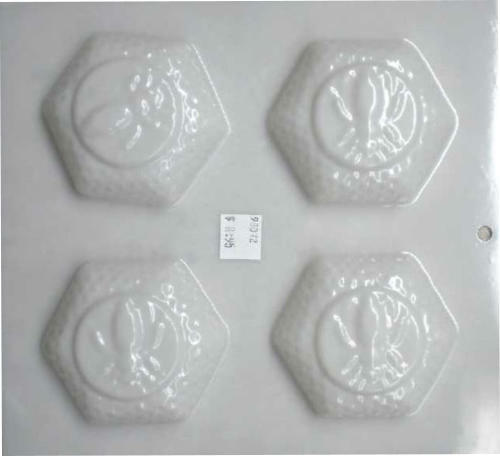 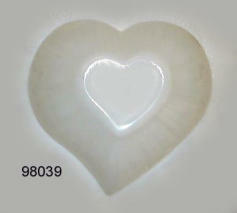 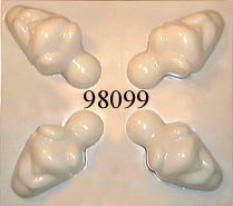 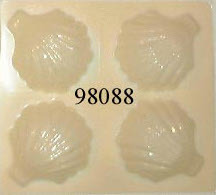 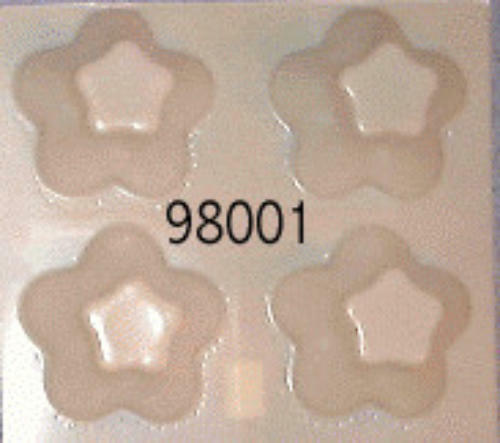 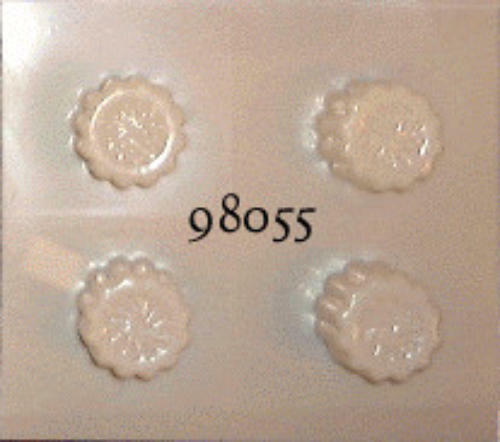 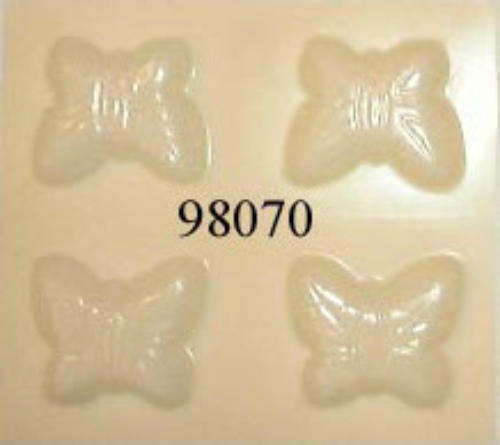 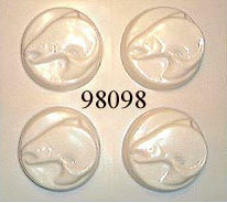 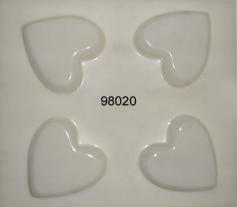 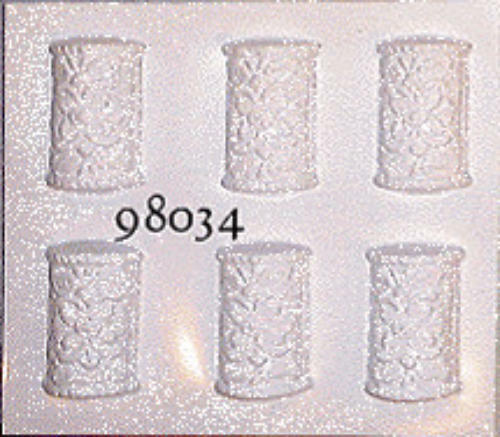 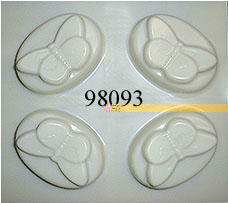 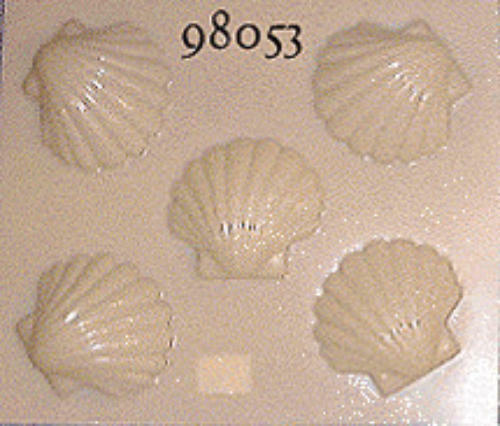 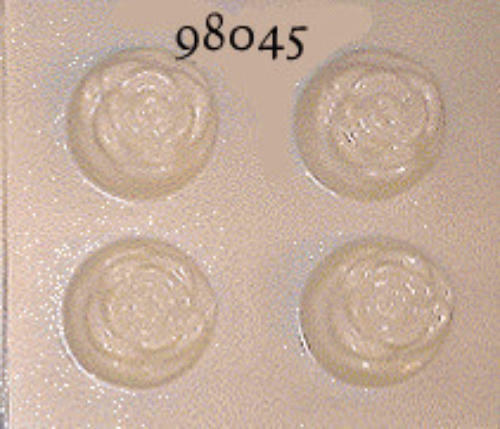 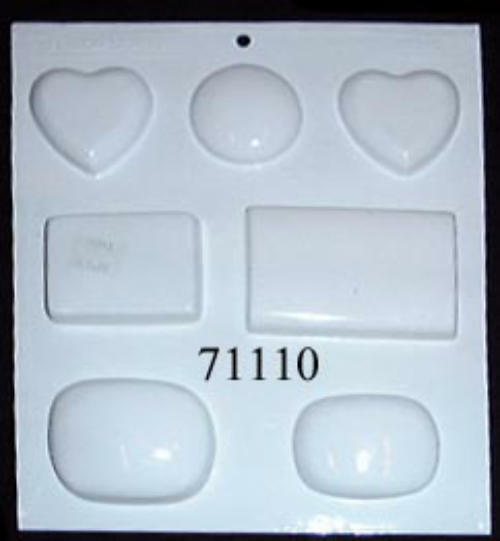 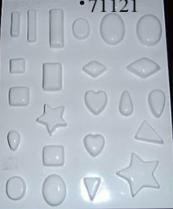 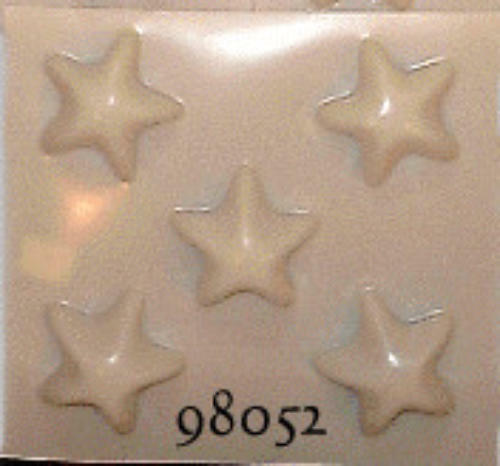 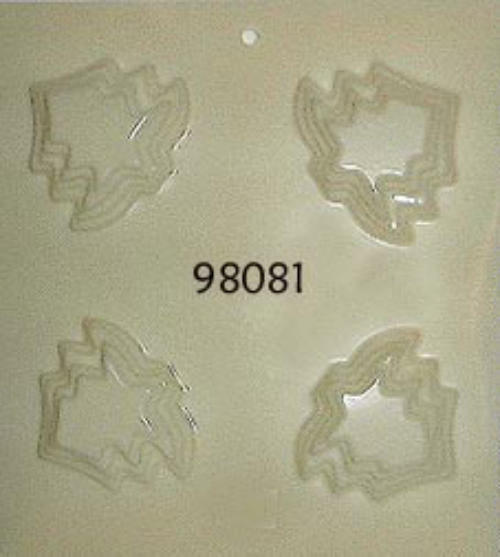 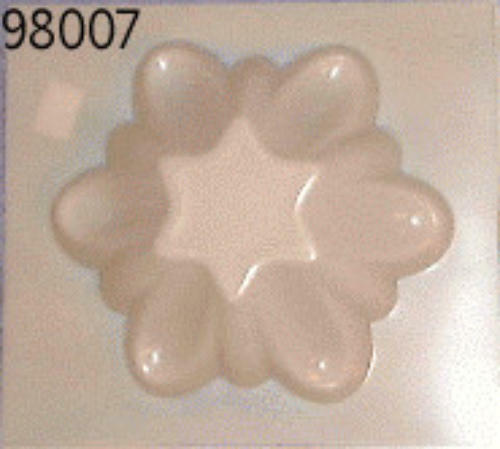 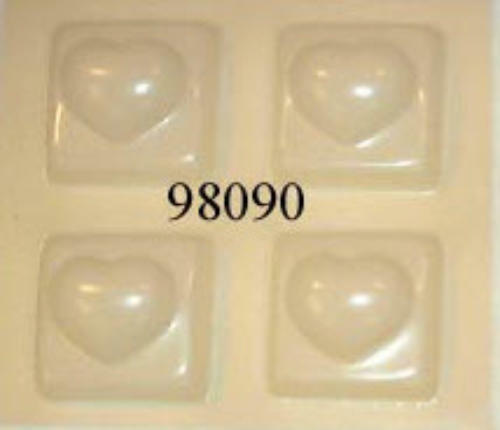 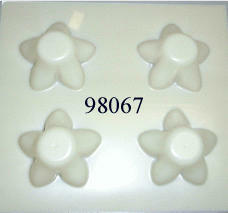 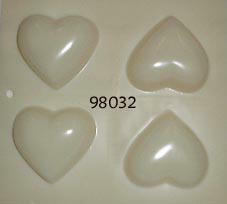 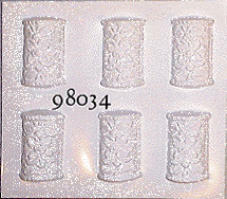 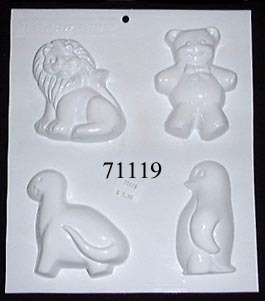 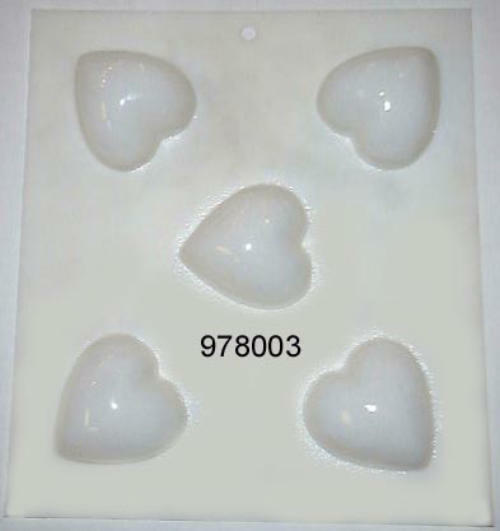 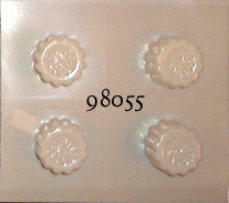 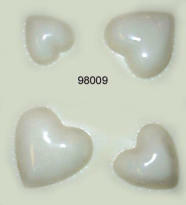 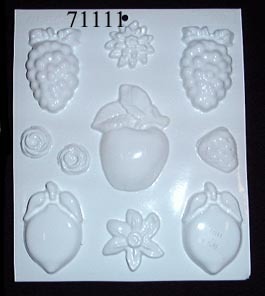 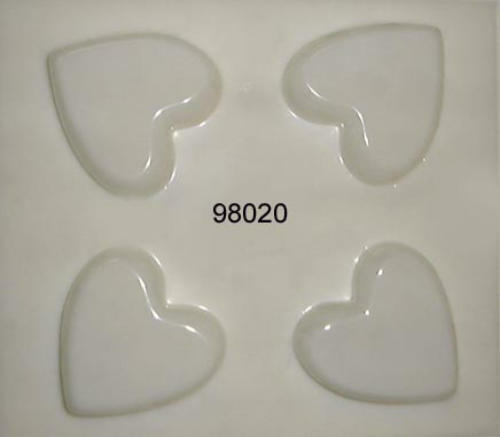 *4 Piece Hurricane Molds: Use 1260 Paraffin Wax to make the four sides of the hurricane. Objects can be embedded into the side walls (ex. dried flowers, glass, wax chunks). 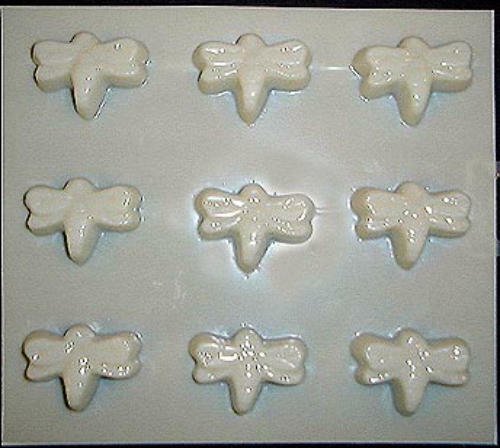 The candle is assembled by standing the four sides up in one of the larger sections of the mold and either attaching them with ‘tacky wax’ or pouring some wax and swirling it around the bottom and up the corners to seal them. Either fill the inside with a low melt point wax (ie. 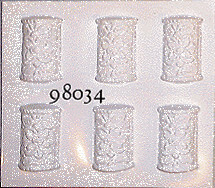 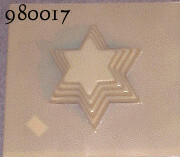 1230 or 4786) with a wick placed in the centre, or pour enough wax into the bottom to create a base and the candle can be left hollow for a tealight or votive candle. As the outer shell of the candle is made from a high melt point wax, it will not melt when the rest of the candle burns, making it refillable and reusable.